156 souls braved ‘death by midge’, but were ultimately rewarded by the magnificent views along the route and another cracking race. 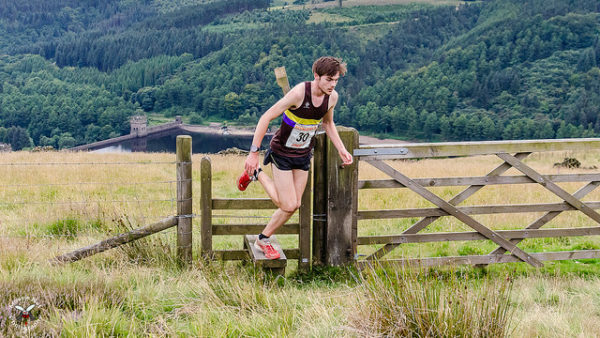 Tom Saville of Dark Peak took home the honours in a course record time of 49:34. Helen Elmore made it a male/female Dark Peak double by taking home the ladies first prize in a time of 1:02:19. Full age category prize winners are listed below. If you didn’t collect your prize on the night, could you please make contact with Dean Young via the contact form to arrange collection. Photo courtesy of Mossie Net Photography. Please consider donating to his worthwhile cause. He publishes hundreds of pictures from races and makes them available completely free of charge. All he asks in return is a small donation to his favourite charity; Malaria No More. You can donate via his Just Giving Page or read more about the races he covers on his blog.